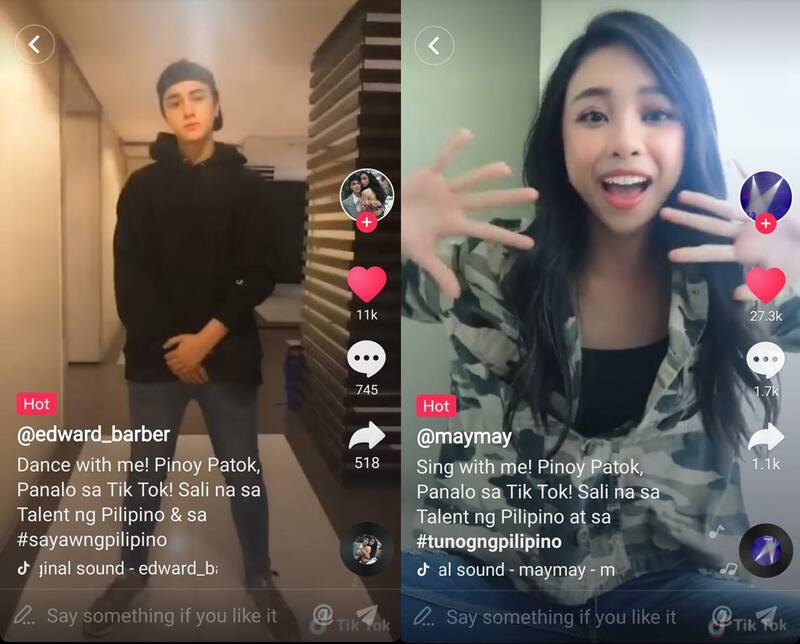 Maymay Entrata and Edward Barber kick off Tik Tok's “Talent ng Pilipino”, its first-ever talent contest in the Philippines on May 26 with inspiring videos. Celebrities and other content creators have been constantly uploading content on Tik Tok after all it is the most downloaded iPhone app in the world. The “Talent ng Pilipino” Audition provides young creators a platform to showcase their creativity, grow their fan base, and win cash prizes of up to Php50,000. Filipino stars Maymay Entrata and Edward Barber who inspired fans nationwide each started off a category of the talent contest. HOW TO JOIN TIK TOK'S TALENT NG PILIPINO? -Tik Tok creators can participate in multiple categories. -Creators will need to repost their videos on Instagram and tag @tiktok_philippines and on Facebook and tag @Tik Tok Philippines with the respective hashtag of their chosen category to join the talent search. Best Participation Award: Every three days, Tik Tok will select the top 10 videos with the most likes among all the entries for the three categories. Selected entries will get surprising gifts from Tik Tok and an invitation to the Meet & Greet Party in Manila on June 24! Most Talented Award: Tik Tok will put a verified badge on accounts of the top 5 videos for each of the three categories. The 15 participants will also get Php20,000 each and will be invited as guests to the Meet & Greet Party in Manila on June 24! Pilipinong Patok Award: Tik Tok will give away Php30,000, Php20,000, and Php10,000 to the top 3 videos with the most likes on its official Instagram and Facebook.